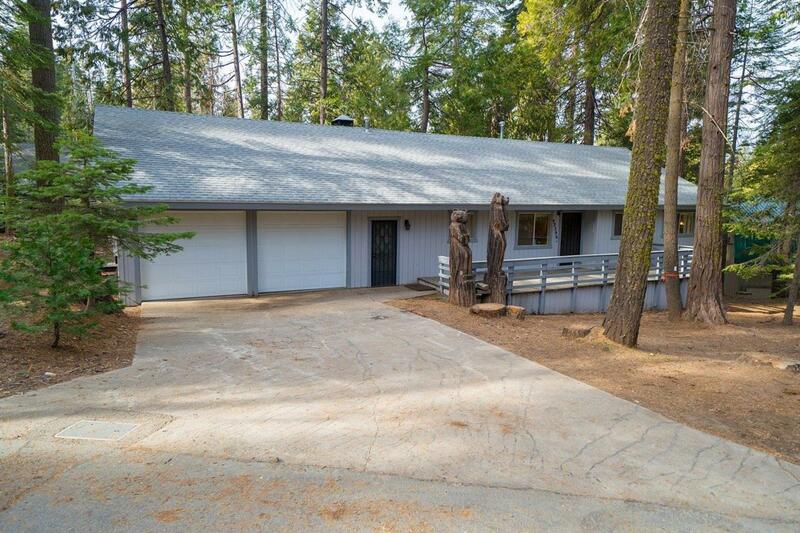 You'll feel right at home in this single-story home with attached double garage on a fairly level .4 acre lot in woodsy Sierra Cedars area. The well-built home has a lovely private setting on a quiet cul de sac road. Floor plan is open and spacious, kitchen has a breakfast bar and newer white-on-white appliances, and living room has a beautiful fireplace with rock surround. Ample master suite has a large bath and his & hers closets. Large second bath has built-in cabinets for extra storage. Separate laundry room has a sink and more built-in cabinets. Forced air heating system has been updated. You'll love the hassle-free year-round access to the large garage with modern auto roll-up doors, nice workshop area, and direct entry to the home. SEE VIRTUAL TOUR!